The information provided here is for versions of Dynamics 365 prior to Dynamics 365 (online), version 9.0. For the latest documentation, see Setup overview for mobile apps. Dynamics 365 for phones: If you’re running CRM Online 2015 Update 1 or later, or CRM 2016 on-premises or later, you can design your information architecture once and the customizations will automatically flow to all form factors. Much is shared with Dynamics 365 for tablets. Dynamics 365 for tablets: With the same basic features as Dynamics 365 for phones, tablet users will appreciate the Dynamics 365 experience optimized for a larger screen. For hardware and software requirements for Dynamics 365 for phones and Dynamics 365 for tablets, see Support for Dynamics 365 for phones and Dynamics 365 for tablets. Dynamics 365 for phones requires CRM Online Update 1 or later or CRM 2016 on-premises or later. Windows 10 requires the new Dynamics 365 for Windows app. This app cannot be used with previous versions of CRM Online or Dynamics CRM on-premises. Microsoft Dynamics 365 (online) organizations using Dynamics 365 for tablets require the Microsoft Dynamics CRM Online Fall ‘13 release or later. For Dynamics 365 for phones and Dynamics 365 for tablets, Microsoft Dynamics 365 on-premises deployments require Internet-facing deployment (IFD) for users to access their data. If you have your Microsoft Dynamics 365 website available over the internet but it is not using the Microsoft Dynamics 365 IFD configuration, it is not supported. To verify that your on-premises deployment is configured for IFD, open Microsoft Dynamics 365 Deployment Manager on your Microsoft Dynamics 365 Server. The Authentication Summary section should show that both Claims-Based Authentication and Internet-facing deployment (IFD) are enabled. More information: Configure IFD for Microsoft Dynamics 365. Microsoft Dynamics 365 uses a security privilege, Dynamics 365 for mobile, to provide access to Dynamics 365 for phones and Dynamics 365 for tablets. The privilege is pre-configured for Sales roles, but not other security roles, so you may want to add to other roles for your teams. Choose a security role > Business Management tab. In the Privacy Related Privileges section, verify that Dynamics 365 for mobile is set to Organization. If not, click Dynamics 365 for mobile. Send an email to tablet-enabled users to let them know they can download the mobile app from the app store. Include the organization URL and sign-in information in the email. You haven't been authorized to use this app. Check with your system administrator to update your settings. Microsoft Dynamics 365 includes the ability to audit user access. Audit events are logged if a user accesses your Dynamics 365 organization through Dynamics 365 for tablets. However, there is not a new event type that indicates the access was through Dynamics 365 for tablets. The audit login events would appear as User Access via Web Services. In addition, particularly if you have created a custom security role, validate that these entities have Read permission. Be sure to provide users the URL and credentials they need to sign in. Microsoft Dynamics 365 uses a security privilege, Dynamics 365 for mobile, to provide access to Dynamics 365 for phones and Dynamics 365 for tablets. This privilege is pre-configured for Sales roles, but not other security roles, so you may want to add to other roles for your teams. Multiple dashboards are available for Dynamics 365 for phones and Dynamics 365 for tablets users. After you set up standard or custom dashboards for mobile access, users can easily modify which dashboards appear and how they appear on their phones or tablets. Double-click or press and hold the dashboard you want to enable for phone or tablet access. Click Properties > Enable for mobile > OK.
You can assign security roles to a dashboard so the dashboard appears only to users with certain security roles. For example, to set who has access to the Sales Dashboard, click Settings > Customizations > Customize the System > Components > Dashboards, and then select the Sales Dashboard. Then, click Enable Security Roles. The following content covering registry changes applies to Dynamics 365 for tablets and notDynamics 365 for phones. The new Dynamics 365 for tablets Windows 10 app does not require registry changes. To deploy the Dynamics 365 for Windows 8.1 app, review the following scenarios. 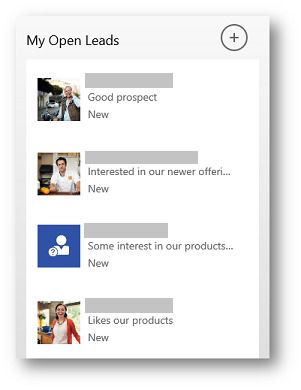 You’re using Microsoft Dynamics CRM Online Spring ‘14 or later. None. You can skip the steps in this section. They apply only to on-premises Microsoft Dynamics 365. You’re using an on-premises version of Dynamics 365 that is earlier than Microsoft Dynamics CRM 2013 Service Pack 1 (SP1). Update to Microsoft Dynamics CRM 2013 Service Pack 1 (SP1) or later, and then follow the steps in this section. You organization is running Microsoft Dynamics CRM 2013 Service Pack 1 (SP1) or later. If you need to delay updating to Microsoft Dynamics CRM 2013 Service Pack 1 (SP1) or later, your users can use the Windows 8 app. Make sure your Dynamics 365 server is updated to Microsoft Dynamics CRM 2013 Service Pack 1 (SP1) or later. Update a registry setting on your mobile devices. If users have installed the Dynamics 365 for Windows 8.1 app prior to you making these registry changes, they will need to restart the tablet app after the changes are complete. If your mobile devices are managed under the control of group policy, the following steps describe what you need to do. This task contains steps that tell you how to modify the registry. However, because serious problems may occur if you modify the registry incorrectly, it’s important that you follow these steps carefully. For added protection, back up the registry before you modify it. Then, you can restore the registry if a problem occurs. For more information about how to back up and restore the registry, open the following link to view the article in the Microsoft Knowledge Base: How to back up and restore the registry in Windows. If you plan on using group policy to do a domain wide deployment of the registry change and your server is not running Windows Server 2012 R2 or later, download and install the Windows Server Administrative Templates. Select an existing policy or create a new policy. Go to Computer Configuration > Policies > Administrative Templates > Windows Components > App runtime and set Turn on dynamic Content URI Rules for Windows store apps to Enabled. Click Show, and then add the URL for your organization. For example, https://orgname.contoso.com. Close the group policy editor and save your changes. If your mobile devices are unmanaged, see the following sample PowerShell script that shows how to change the registry on each Windows 8.1 or later device. #    Copyright (c) Microsoft. All rights reserved. #    This code is licensed under the Microsoft Limited Public License. #    PURPOSE, MERCHANTABILITY, OR NON-INFRINGEMENT. Before making changes to your registry, make a backup. Click File > Export, and then enter your settings. Right-click or tap policies, point to New, and then click Key. Type Packages, and then press ENTER. Right-click or tap Packages, point to New, and then click Key. Type Applications, and then save the text. Right-click or tap Applications, point to New, and then click DWORD (32-bit) Value. Type EnableDynamicContentUriRules and then save the text. Right-click or tap EnableDynamicContentUriRules, and then click Modify. Right-click or tap Applications, point to New, and then click Key. Type ContentUriRules, and then save the text. Right-click or tap ContentUriRules, point to New, and then click String Value. Type 1, and then save the text. Right-click or tap 1, and then click Modify. Type your Dynamics 365 organization’s URL in the Value Data box (for example, https://contoso.com), and then click OK. If an entity is enabled for Dynamics 365 for mobile and appears in the nav bar (sitemap) for the web application, it will also appear on the nav bar in Dynamics 365 for phones and Dynamics 365 for tablets. The Dynamics 365 for phones and Dynamics 365 for tablets apps show the entities as a flat list in the same order as the sitemap in the web application. They ignore any groupings within web application areas. You can add an entity to multiple groups on the web application, but Dynamics 365 for phones and Dynamics 365 for tablets display a flattened list and do not show any repeats. Dynamics 365 for phones and Dynamics 365 for tablets apply your Microsoft Dynamics 365 security role, so you will not see an entity unless you have at least read access to that entity. Custom entities use a fixed custom entity symbol. The lists of records that appear on the Sales Dashboard and within a form appear as simple lists. These lists have a different appearance than the typical view of records. There are a few frequently used actions you can perform on a simple list. Simple lists are not available in Dynamics 365 for phones. Instead use the command bar … and click Select View to change your view. Tap the list header to see the full list for the current view. Tap a list item to open the form for that item. Tap and hold an item to display the command bar. Tap the New Item button + to the right of the view name to create a new record of that type. You’ll see the New Item button + to the right of the view name for any entity type that is read/write enabled for Dynamics 365 for tablets. Simple lists retrieve ten records at a time regardless of the Records Per Page setting in your Personal Options area of the web application. As you scroll to the bottom of the list, Dynamics 365 for tablets displays additional records. A typical view of records displays all columns in the view definition. A simple list displays the first few columns from the selected view. Simple lists are also capable of displaying images for each record if the entity is enabled to display images. The number of fields you’lll see in the list is different depending on whether or not the entity is enabled for images. If it is, the image is the first thing to appear. Next to the image the primary field for the entity is displayed first and wraps up to two lines. The primary field is followed by the first two columns in the view that are not the primary field. Those fields will each appear on one line. If the entity is not enabled for images, the primary field for the entity is displayed first. The primary field is followed by the first three columns in the view that are not the primary field. There are a few special list types: Activity, Stakeholders, and Sales Team. These are discussed in the next sections. The simple list for activities includes some special functionality that isn’t available on other lists. Each standard activity type (such as Phone call and Task) includes a symbol to differentiate it from the other activity types. Next to the symbol, the primary field for the activity is displayed and will wrap up to three lines. The next field to display is the first field from the view (excluding the primary field), Due Date, and Activity Type. Activities that can be marked as complete have a check box next to them. Tap the check box to mark the activity as complete. The activities list shows activities that are due today and past due activities in a darker color. Activities that are not due today or past due appear in a lighter color. Activities with a due date include the date and time of when they are due. Microsoft Dynamics 365 uses a composite Activity entity to store and retrieve data common between different activity types (like Task, Appointment, or Phone Call). 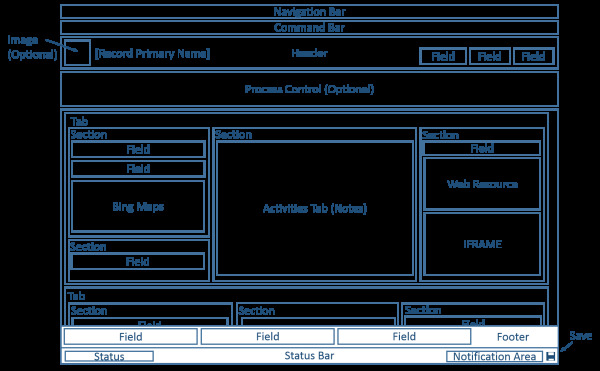 The due date for activities is stored in the Actual End field for the composite Activity entity. Appointment activities have a Start Date and End Date. Because the due date for the activities list is retrieved from the Actual End field, the time that an appointment ends is displayed in the Activities list. This means an appointment that starts at 1pm and ends at 2pm will show a time of 2pm on the tile for the appointment in the activities simple list. The Description field for emails will not appear in lists. For Activities, the New Item button + opens a flyout so you can select the type of activity to create. This flyout contains a list of all the read/write enabled activities. The Stakeholders and Sales Team lists that appear in an Opportunity display the primary field and role. These two entity lists have inline create and editing. When you tap the New Item button + on these lists, the existing list items move down, and a lookup and a drop-down list appear. Now you can select (or create) an entity to add to the list through the lookup, and assign a role through the drop-down list. Editing is an inline experience as well. If you tap the down arrow next to the role name, the drop-down list appears in edit mode and you can change roles. To change the view used to display a list of records, tap and hold the name of the list. 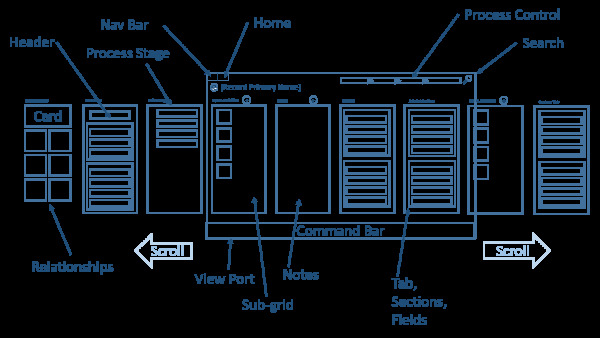 The command bar appears, which includes the Select View button. Tap the Select View button to select a different view. Personal views are listed before system views. You can’t create new views within Microsoft Dynamics 365. All the charts you can create in the Chart Designer, such as Bar, Line, Pie, and Funnel charts, are viewable in Dynamics 365 for phones and Dynamics 365 for tablets. Open a chart from the Sales Dashboard to get a page with a chart and the records used to generate the chart. Choose the chart sections to see the records filtered for that part of the chart. Charts are not available offline with Dynamics 365 for phones and Dynamics 365 for tablets. You can add charts to dashboards and chart pages only. Forms in Dynamics 365 for tablets are based on the development principle of “Design once and deploy across clients.” Entity behavior and business processes in Dynamics 365 for tablets forms function similarly to forms in the web application, but with a flow tailored for a tablet. In Microsoft Dynamics 365 (online & on-premises) or later, you can preview how forms look on tablets and phones when you customize them in the web app. Forms work a bit differently for Dynamics 365 for phones. See the section below Things to know about Dynamics 365 for phones. This diagram shows common parts of the updated entity forms in the web application. Dynamics 365 for tablets takes many of the Main form elements and presents them in a way that is optimized for tablets, as shown in the following diagram. 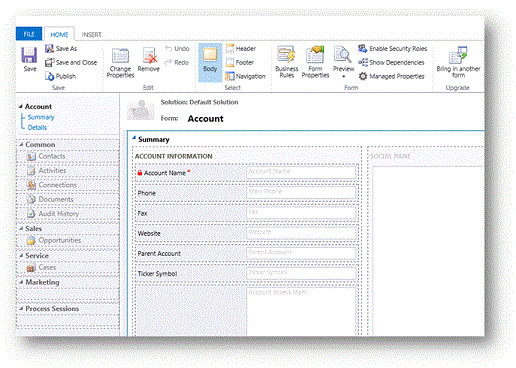 The Relationships area of the form displays entity relationships that are configured in the Navigation area of a form. If an entity relationship is configured to appear in the Navigation area within the form customization, and the entity is enabled for Dynamics 365 for tablets, the entity relationship will appear in the Relationships section. 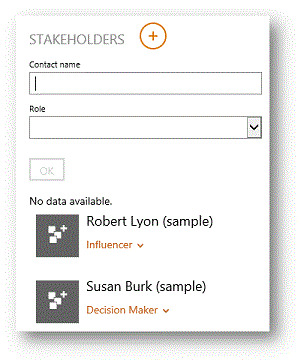 The Connections relationship tile is not displayed in Dynamics 365 for tablets. 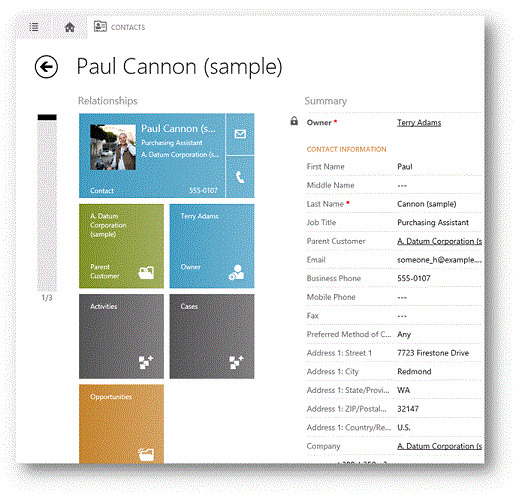 The relationships section also has a tile that represents the owner of the record, which is a Lookup field. In addition to the Owner tile, there are some other examples of hardcoded tiles that represent Lookup fields. For example, the Contact form has a tile for the parent account. You cannot choose additional Lookup fields as tiles in this section. 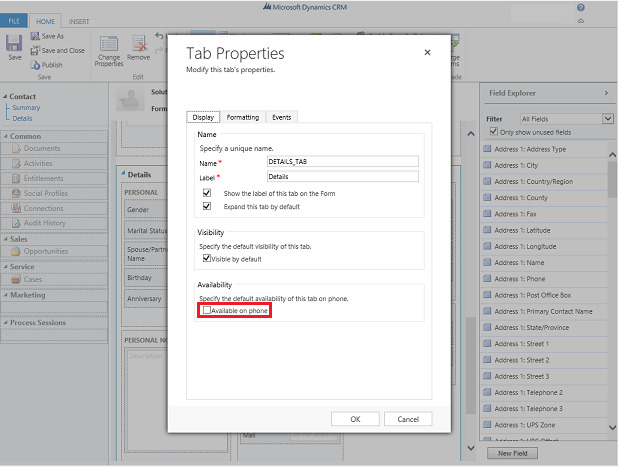 Forms in Dynamics 365 for tablets are limited to 5 tabs (or 75 fields and 10 lists). This limit includes hidden fields. Activity Feeds and Yammer are not supported in Dynamics 365 for tablets. Forms in Dynamics 365 for phones use the Main form type. 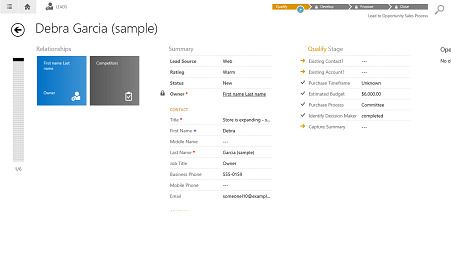 Entity behavior and business processes in Dynamics 365 for phones forms function similarly to forms in the web application, but with a flow tailored for a phone. To further simplify forms, you can hide components from appearing in the phone app. You can hide tabs, sections, subgrids, fields, and charts. For example, to hide the Details tab in the Contact form, click Settings > Customizations > Customize the System > Components > expand Entities > expand the Contact entity > Forms. Select the Contact form, then scroll down and click Details. Click Change Properties and clear the Available on phone check box to hide the Detail tab from appearing on the Contact form for phone users. When the application first loads after installation, it will determine the device language and load the user interface in that language. If the device language is not one of the supported languages, the application will load in English. When the application has been configured in a Microsoft Dynamics 365 organization, the application will load in the language specified in the user’s personal options. If the user language is not one of the supported languages, the application will fall back to the base language of the Dynamics 365 organization, if it is in the supported language list. If the organization’s base language isn’t supported, English will be the final fallback if it is enabled on the server. You can use the Lookup for entities that are not enabled for Dynamics 365 for phones and Dynamics 365 for tablets from a record that is enabled and see the data. However, you won’t be able to edit the entity. Dynamics 365 for phones and Dynamics 365 for tablets authenticate users with browser-based authentication, which means no credentials are stored on the phone. Dynamics 365 for phones and Dynamics 365 for tablets users transitioned to Microsoft Dynamics 365 (online) on Microsoft Online Services environment will automatically renew their sign-in for up to 30 days. Dynamics 365 for tablets connections to Microsoft Dynamics CRM 2015 or later require an Internet-facing deployment. 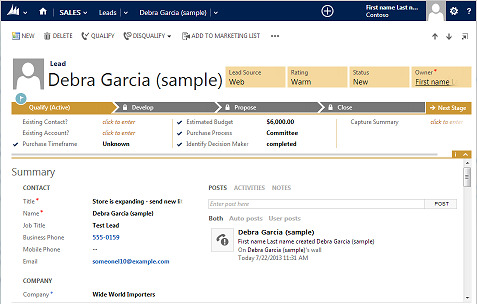 Microsoft Dynamics CRM 2013 or later is required for Dynamics 365 for tablets users to connect to their Microsoft Dynamics 365 organization. Organizations that are using earlier versions of on-premises editions of Microsoft Dynamics 365 will need to upgrade. Data transmission. Dynamics 365 for tablets requires an Internet-facing deployment (IFD), so when your organization’s mobile devices synchronize Dynamics 365 data with your online or on-premises Dynamics 365, the data is encrypted with Transport Layer Security (TLS) or Secure Sockets Layer (SSL). Encrypting cached data. Cached data is not encrypted. You can use BitLocker to encrypt the entire hard drive on a Windows 8 or later device. For Apple and Android devices, consider Windows Intune or a product from another company to encrypt the hard drive on the mobile device. Records are saved in Dynamics 365 for tablets based on how you configured autosave in your organization settings. To view your save settings, click Settings > Administration > System Settings > General tab. View the settings under Select the default save option for forms. Enabled for the organization, changes to forms are saved when users leave forms. Disabled for the organization, users must use the command bar and click Save to save form changes. Images, such as contact photos, are not stored in the browser cache. Images may not be displayed when users work offline with Dynamics 365 for tablets. The Dynamics 365 for tablets and phones, and Project Finder for Project Finder for Microsoft Dynamics 365 (the "App") enables users to access their Microsoft Dynamics CRM or Dynamics 365 instance from their tablet and phone device. In order to provide this service, the App processes and stores information, such as user's credentials and the data the user processes in Microsoft Dynamics CRM or Dynamics 365. The App is provided for use only by end users of Microsoft customers who are authorized users of Microsoft Dynamics CRM or Dynamics 365. The App processes user's information on behalf of the applicable Microsoft customer, and Microsoft may disclose information processed by the App at the direction of the organization that provides users access to Microsoft Dynamics CRM or Dynamics 365. Microsoft does not use information users process via the App for any other purpose. 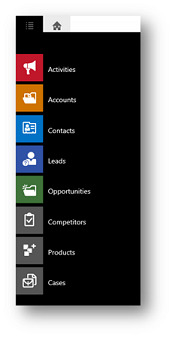 If users use the App to connect to Microsoft Dynamics CRM (online) or Microsoft Dynamics 365 (online), by installing the App, users consent to transmission of their organization's assigned ID and assigned end user ID, and device ID to Microsoft for purposes of enabling connections across multiple devices, or improving Microsoft Dynamics CRM (online), Microsoft Dynamics 365 (online) or the App. The App may include links to other Microsoft services and third party services whose privacy and security practices may differ from those of Microsoft Dynamics CRM or Dynamics 365. IF USERS SUBMIT DATA TO OTHER MICROSOFT SERVICES OR THIRD PARTY SERVICES, SUCH DATA IS GOVERNED BY THEIR RESPECTIVE PRIVACY STATEMENTS. For the avoidance of doubt, data shared outside of Microsoft Dynamics CRM or Dynamics 365 is not covered by users' Microsoft Dynamicss CRM or Dynamics 365 agreement(s) or the applicable Microsoft Dynamics Trust Center. Microsoft encourages users to review these other privacy statements. Licensed Dynamics 365 Online users with specific Security Roles (CEO – Business Manager, Sales Manager, Salesperson, System Administrator, System Customizer, and Vice President of Sales) are automatically authorized to access the service by using Dynamics 365 for tablets, as well as other clients. An administrator has full control (at the user security role or entity level) over the ability to access and the level of authorized access associated with the tablet client. Users can then access Dynamics 365 (online) by using Dynamics 365 for tablets, and Customer Data will be cached on the device running the specific client. Based on the specific settings at the user security and entity levels, the types of Customer Data that can be exported from Dynamics 365 (online) and cached on an end user’s device include record data, record metadata, entity data, entity metadata, and business logic.